When you subscribe, we collect your first and last names, your e-mail address, your phone number and your institutional affiliation (the name of the company or firm where you work) ("Personal Information"). In addition, we may also collect non-personally identifiable information, such as IP host address, web pages viewed, browser type and other such data (“Non-Personal Information”), and may aggregate that information collected in a way that does not identify any individual. We use your name and e-mail address to send you the HFLR and may use the phone number to contact you so that we can learn more about readers in the interest of improving the quality, utility and relevance of the HFLR. We also may use your e-mail address to create reports that will show us who is reading what parts of the HFLR and who is clicking on which links that are embedded within it. 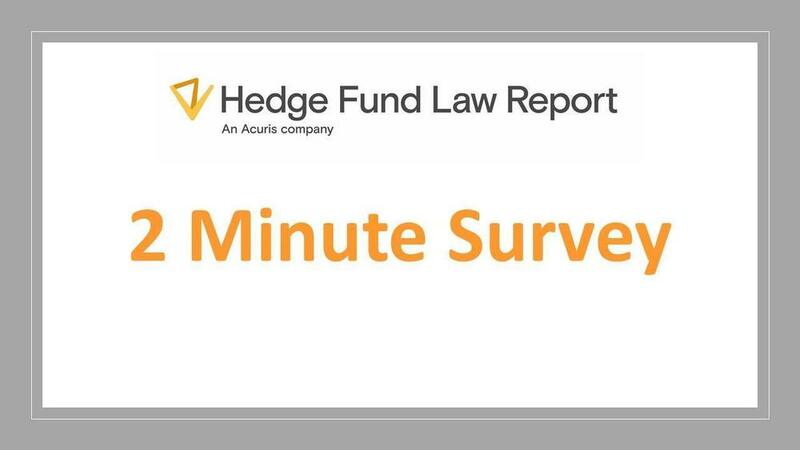 We may report the name of the company or firm where you work to investors or advertisers who want to know who is reading the HFLR. If you wish to opt out of our using that information in this way, please send your opt-out request to editor@hflawreport.com. We will not sell your Personal Information to any third party that is not affiliated with MM without your consent, except in connection with the sale or merger of MM or sale or merger of the HFLR. We do, however, reserve the right to access or disclose Personal Information and non-personal information we gather as required by law or to the extent necessary for us to investigate suspected fraud, harassment or other violations of any law, rule or regulation, or MM’s rules or policies. We may share Non-Personal Information, individually or aggregated, with any number of parties, as long as the information we share does not identify any individuals. What if I am using the Web Site from outside the United States? The Web Site is maintained in the United States of America. By using the Web Site from outside the United States, you authorize the export of your Personal Information to the United States, as well as the storage and use of your Personal Information as specified in this policy. What measures do you take to keep my information secure? The security of your Personal Information is very important to us. We try to provide for the secure transmission of your information from your computer to our servers by utilizing encryption software. However, due to the inherent open nature of the Internet, we cannot guarantee that communications between you and MM or information stored on the Web Site or our servers will be free from unauthorized access by third parties such as hackers, and your use of the Web Site demonstrates your assumption of this risk. We have put in place reasonable physical, electronic, and managerial procedures to safeguard the information we collect. Only those employees or agents of MM who need access to your information in order to perform their duties are authorized to have access to your Personal Information. As a convenience to you, we may provide links to third-party web sites from within the Web Site. MM is not responsible for the privacy practices or content of any third-party sites. MM SPECIFICALLY DISCLAIMS ANY LIABILITY FOR INFORMATION ON ANY THIRD-PARTY WEB SITE. How do you handle communications between me and MM? How do I opt out of receiving the HFLR or any communications from MM? Send any unsubscribe or opt-out request to us at editor@hflawreport.com and we will process your request within ten days. We are not responsible, however, for removing your Personal Information from the lists of any third party to whom we have previously provided such Personal Information in accordance with this policy, such as a business partner. No, we have and may in the future add certain other policies, terms and conditions.